Is the N8 Enough to Save Nokia? 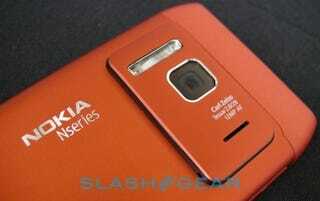 Michael Gartenberg over at SlashGear just reviewed the Nokia N8, the new Symbian^3 flagship. Is it cool enough to give Nokia's rep a much-needed boost? Probably not. The phone—sorry, multimedia computer—has three homescreens, all of which can be customized with various widgets. These screens work well, load quickly, and look purdy on the N8's bright 3.5-inch OLED display. But Symbian's user interface, even in its fancy new clothes, can still be challenging. Euphemism alert! The main reason, though, that the Slashies think Nokia's latest will make nary a ripple when dropped in the US Pond, is that there are piteously few apps in the OVI store—a must in today's crazy competitive smartphone market. On the bright side, the N8 can charge via its Nokia charger port or a micro USB port, and the battery can easily last all day. Attention Nokia: Cut your losses, ditch Symbian, and get on the Android train!